During the late 1800s, our US Military was using the .38 Long Colt and then, through trial and error and battlefield reports, it was determined that the cartridge needed to be replaced. Then Smith and Wesson came in and designed a cartridge to replace the aging, anemic 38 Long Colt in 1898. Because it was meant for military service, this new cartridge was tested extensively with a 158-grain projectile. The new .38 Special round was calculated to have additional powder capacity which pushed it to a high muzzle velocity than the previously used 38 Long Colt. Even though at the time of the design and switch over, they were still using black powder, they started using smokeless powder soon after. 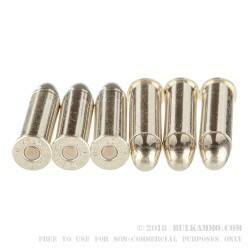 Throughout its use, the 38 Special has had many rounds designed and used with it. The catalog of 38 special cartridges runs the gamut with various types and weights of military ball ammo, self-defense and civilian hunting loads, military tracer ammo that was issued to pilots for signaling for rescue after their aircraft went down, as well as multiple "Specialty Loads" for certain "clandestine" purposes. These Fiocchi Smith and Wesson .38 Special loadings have a long history that persists today. 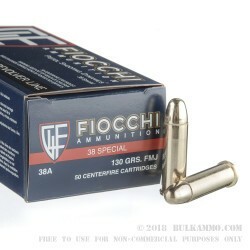 The Fiocchi 130 grain .38 Special rounds are loaded up with heavy-duty 130 grain solid lead core FMJ or Full Metal Jacket brass encased bullet. They are loaded into new, high-polished, reloadable, non-corrosive Boxer primed, thick walled, yellow brass cases. These loads have a reported muzzle velocity of 950 feet per second, which puts them squarely in the "Subsonic" category. They also have a reported muzzle energy of 260-foot pounds, which is impressive for a 38 special. You can stock up on these in single 50 round boxes, or you can really stock up and buy a couple of 1000 round cases. 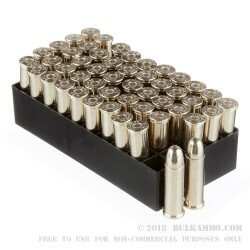 Either way, these rounds or perfect for testing out a new rifle, a new lever action repeater rifle or "Mare's Leg", for a competition or a cowboy action shooting match, testing out a new revolver, or even a simple day of plinking with your family. So, call your family and your friends to the range, and shoot for the day. Get yours now! !